The Endesa League returned to the Palau Blaugrana on Thursday night, when Barça Lassa rolled to a 98-78 win over Herbalife Gran Canaria in a game that saw Barça take a big lead by the end of the first quarter, 29-17. Center Ante Tomic scored a game-high 21 points, while ThomasHeurtel, Kyle Kuric and Pierre Oriola all chipped in with 13 each. Barça Lassa was hot early in this one. In the first quarter, Kyle Kuric scored 8 straight points to stake Barça out to a 17-9 lead. 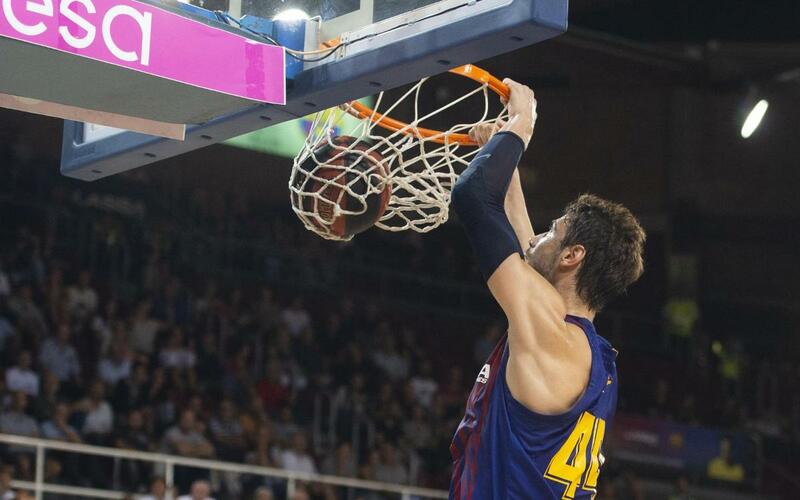 Then, baskets from Pau Ribas and Ante Tomic widened Barça's lead to 12 points at 29-17, all while handing the home fans a heavy dose of entertaining basketball. Artem Pustovyi joined the party with two big dunks in the second quarter, part of another Barça run that gave them a 49-32 lead heading into halftime. Gran Canaria made up ground in the third quarter, with Eulis Báez, Clevin Hannah, and D.J. Strawberry lighting it up from beyond the arc to trim the Blaugrana lead to 67-61. But Barça reacted in time and went into the fourth quarter with a 71-63 lead, enough momentum to carry the Catalans through to a season-opening victory. Barça’s next game comes on Thursday, October 4 on the road at BAXI Manresa, in the first Catalan derby of the season.